In the marine world, inverters are ubiquitous. It&apos;s difficult to find a new cruising vessel that does not come equipped with an inverter as standard equipment, and when you consider the convenience an inverter affords, it&apos;s little wonder. Consider this scenario. You wake up early to a beautiful, serene morning in an isolated cove. You share the anchorage with just three other boats, and the scenery is breathtaking. You spy an eagle soaring overhead; ashore, deer nibble green shoots near the water&apos;s edge. What could make this scene more enjoyable? A freshly brewed cup of coffee. You head to the galley, plug in the coffeemaker, and start the generator. Within a few minutes, the eagles have fled, the deer have darted away, and your formerly slumbering neighbors and mate are giving you less than friendly glances. If you&apos;d had an inverter, it would have been entirely unnecessary to start the generator to operate the coffeemaker and other gear that would otherwise run on shorepower. When inverters were first introduced to the recreational marine industry, they provided a type of power that was similar to (but not quite the same as) shorepower and the power provided by generators; it&apos;s referred to as a square or modified sine wave (MSW). These inverters produce a stepped form of power that&apos;s close to, but not the same as, the true sine wave (TSW) power provided by utility companies. Certain appliances-such as laser printers, electric shavers, some rechargeable flashlights, VCRs, TVs, and bread makers-may not work properly, if at all, using MSW inverters. In some cases, this gear may be damaged if you try to operate it using an MSW inverter. Audio devices will often exhibit a hum when used with MSW inverters, and video devices may show interference. MSW inverters remain available today. True sine wave inverters, on the other hand, produce a form of power that is virtually indistinguishable from utility power, and in some cases the power they produce is superior to a generator&apos;s. Provided the capacity is properly matched, all appliances running on a TSW inverter should operate in precisely the same manner in which they would when used with shorepower. Why then, would anyone continue to install or use an MSW inverter instead of a TSW inverter? Perhaps you&apos;ve guessed: price. When comparing like quality, MSW inverters are significantly less expensive than TSW inverters. Other than the cost, how do you decide which inverter to specify or use? Visiting the inverter manufacturer&apos;s website is one way to find an answer. Xantrex, a popular inverter manufacturer, has a page dedicated to the subject: http://www.xantrex.com/documents/Tech-Doctor/marine/Tech%20Doctor.pdf. 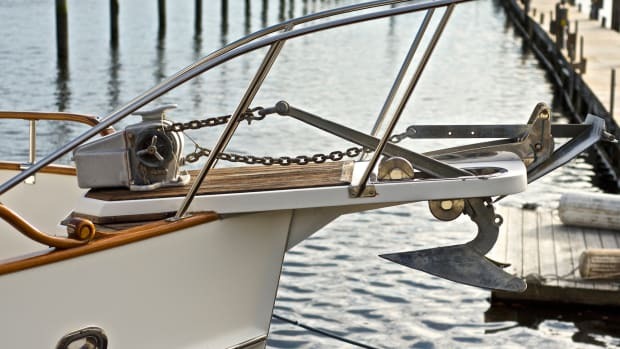 Another option is consulting with your marine electrician or boatbuilder, if you are farming this task out or if your new boat comes with or has the option of an inverter. Among other considerations, if superior quality audio and video performance is important to you, then the decision is made-TSW is the only way to go. The next step in the inverter selection process is sizing. This is where many installations go terribly wrong in one of two ways. First, in many cases, the inverter is selected based on either the loads that will operate from it or its charge-output capacity (many inverters are also sophisticated multistep DC chargers). In those cases, with a few exceptions, the power supplied by the inverter is capable of handling most of the AC loads aboard the vessel. These might include the aforementioned audio and video entertainment system, as well as satellite receivers, coffeemakers, microwave ovens, watermakers, fuel polishing systems, hair dryers, and lighting (although that&apos;s not very efficient; it&apos;s preferable to operate lighting from a "parent" source of power-i.e., 12- or 24-volt lights operating from a 12- or 24-volt battery bank-rather than converting through an inverter and losing efficiency). Items that are typically not operated by inverters of any sort include air conditioning units and water heaters. As always, there are exceptions to every rule. With the appropriate design, inverters are capable of operating air conditioning compressors, although this is uncommon, at least for now. The manner in which such installations go wrong is that the inverter size fails to take into account the start-up or surge loads imparted by motor loads such as pumps or compressors. Often, start-up loads can be three to five times the operating load; thus, a watermaker that draws a steady-state 12 amps at 120 volts may require a momentary start-up capacity of 45 or 50 amps. If the inverter is not appropriately sized, it simply will trip its output breaker. The second manner in which inverter selection can go wrong is in the incorrect sizing of the inverter&apos;s power source, the battery bank. The inverter may have the capacity to handle all of the loads, including start-ups of refrigerators and watermakers, but how long can it sustain those loads without the battery bank receiving a charge? Whether you intend to operate high-wattage gear, such as a hair dryer or microwave, on a short-term basis or moderate-wattage gear, such as a refrigerator, on a long-term basis, calculations must be performed to ensure that the battery bank has the necessary amp-hour capacity to handle such loads. If it doesn&apos;t, it will crash all too quickly and you may end up with a refrigerator or freezer full of spoiled food. Load calculator tables are available from most inverter manufacturers, including, once again, Xantrex (http://www.xantrex.com/documents/Tech-Doctor/marine/Tech%20Doctor%203%20Marine.pdf). As one might suspect, proper, ABYC-compliant installation is the key to reliable and safe operation of inverters and related equipment. The problem with inverter installations is that even when they are faulty, they often operate with no outward sign of trouble until they stop operating completely or fail catastrophically. The bottom line is, if the inverter manufacturer&apos;s installation guidelines and relevant ABYC recommendations are followed, then it&apos;s likely the result will be safe, reliable, carefree operation. It&apos;s important to remember that the voltage and current produced by an inverter can be just as lethal as that brought aboard by the shorepower cable or the generator. As such, inverter installations deserve the highest respect and care from installers and users. PassageMaker Magazine hired Marine Technical Services, an ABYC-certified marine electrical outfit in Tracys Landing, Maryland, to install a Xantrex Prosine 1,800-watt inverter aboard a test vessel. The plan is for the inverter to operate moderate-load appliances, such as a refrigerator and freezer, while the vessel is under way and at anchor, reducing the need to run the generator. I discussed the installation at length with MTS&apos;s proprietor, Ryan McQueeney, to ensure it would meet my specifications. After just a few minutes of conversation, I knew I was speaking with a consummate professional and that we would end up with a fully ABYC- and manufacturer-complaint installation. I reported back to PMM that we were in good hands. The DC grounding conductor shall be connected from the metallic case or chassis of the battery charger, inverter, or inverter/charger to the engine negative terminal or its bus, and it shall be of an ampacity equal to that of the DC positive conductor. Many inverter manufacturers either echo this guidance or simply state that, in order to be ABYC complaint, one must use cable of a given size for the chassis ground. The reason for this mega-ground requirement is, in the event that one of the DC positive cable conductors makes contact with the inverter&apos;s metallic case, the equally sized ground cable will safely carry the fault current to ground, where it will almost immediately blow the inverter&apos;s externally mounted DC fuse. Simply put, there&apos;s no substitute for this cable. Another frequent oversight involves the type and location of over-current protection: a fuse, in this case. The fuse for the inverter&apos;s DC positive cable must be installed within 7 inches of the battery (this distance may be increased to 72 inches if the cable utilizes supplemental sheathing). I frequently encounter fuses installed at the inverter, where, in the event of a short in the cable between the fuse and the battery, they will be of no use. Most inverter manufacturers call for the use of "Class T" fuses. Class T fuses differ from ordinary fuses-even those of the same ampacity-in their response time (they are extremely quick acting), as well as in their interrupt capacity and their UL ratings. It&apos;s important that not just any fuse, even if it&apos;s of the proper ampacity, be used for inverter installations. Make sure the inverter fuse meets the inverter manufacturer&apos;s specifications. Finally, inverters must not be installed directly above battery banks. There are two reasons for this prohibition. First, as batteries charge, they release hydrogen gas, which is explosive. 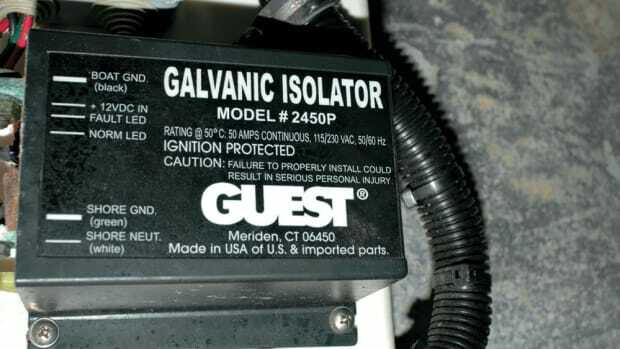 Most inverters are not ignition protected (for this reason, they must never be installed in the engine compartment of a gasoline-powered vessel) and thus are capable of igniting this gas if it enters the charger&apos;s casing. There is no exemption for SVRLA, AGM, or gel batteries; if overcharged, they will vent hydrogen gas. Second, vapor emitted by a charging battery is corrosive, and having it routinely waft through sensitive electrical components such as those found within all inverters is undesirable at best. If you are considering having an inverter installed on your boat, have the work carried out by an ABYC-certified marine electrician. Tell him or her you want to be sure it complies with Sections E-11 ("AC and DC Electrical Systems") and A-31 ("Battery Chargers and Inverters") of the ABYC Standards. If you have an existing inverter installation about which you have doubts, task the electrician with an inspection using the same criteria. Inverters have changed the face of cruising, making shorepower possible away from shore and without the rumble of a generator. When installed and used properly, they make a welcome addition to any vessel. Steve owns and operates Steve D&apos;Antonio Marine Consulting (stevedmarine.com), providing consulting services to boat buyers, owners, and the marine industry. He is also PMM&apos;s technical editor.